Mountainsmith makes just about every size of bag you can imagine. If you are looking for a front pack that holds a compact DSLR with 1 lens, the Swift FX will do the trick. It will even handle your water bottle, keys and a couple other odds and ends like sunglasses, so if you are out on a quick day trip, this might be all you need. I take it out with the kids when I know I want to shoot photos. It keeps my hands free, the camera right at my waist, and also allows me to carry a backpack at the same time – this is a must for me and I love this compact bag for exactly that reason. 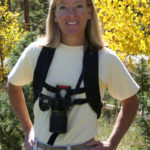 It sports a top strap so you can sling it over your shoulder quickly, or use it as a stabilizer when wearing it on your front. The front of the bag has rigid plastic reinforcement to handle any unintended bumps. The front pocket has compartments for extra cards, batteries and your smart phone will probably fit in there, too. So for weekend outings, quick photo shoots or as an add-on for a backpacking trip, this is a great abbreviated compact option. 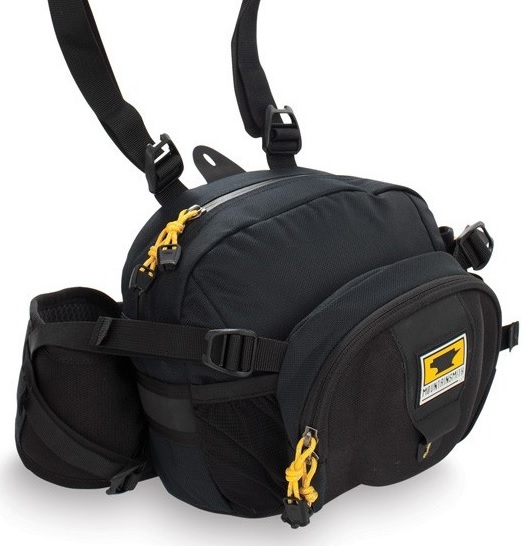 Mountainsmith Swift FX camera bag retails for $74.95 and weighs 18.9 oz. Pac Safe makes bags for travel pros. Their bags are designed to keep thieves and bag slashers at bay. 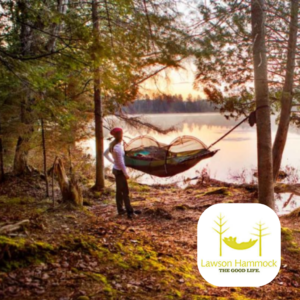 With several standard locking mechanisms, and hidden wire mesh in each of their bags, the company focus is on making sure your property stays in the bag. 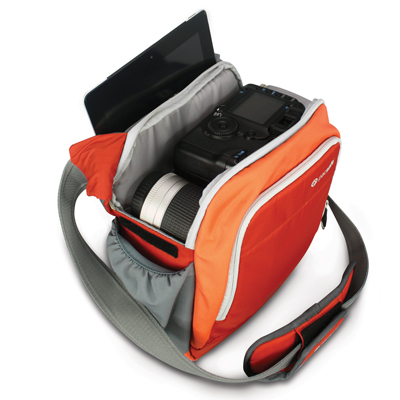 The Camsafe V8 camera bag is built like a travel bag – enough room for a DSLR and extra lens or two, plus a compartment for passport, credit and ID cards. The pocket itself is protected with RFID protection which prohibits thieves from stealing your identity via your ID. The zippers are break-proof. Their bad-guy-foiling benefits are summed up nicely in a feature video. 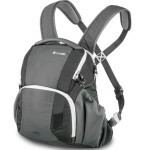 This bag doesn’t lend itself to backpacking, but is a great companion if your backpacking ventures include travel. 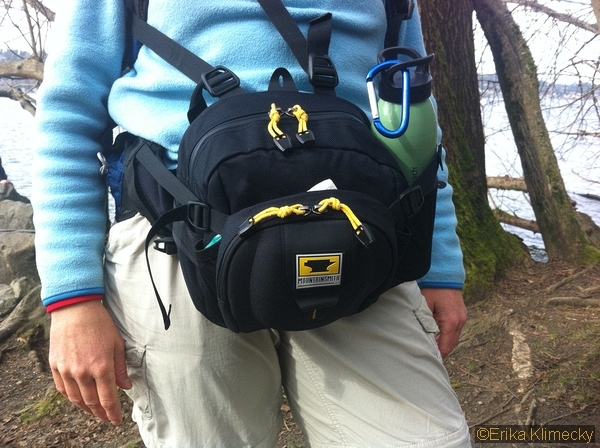 There is space for a water bottle, a snack and the shoulder strap (also with wire reinforcement to inhibit slashing) is comfortable and adjustable. So it’s great for day trips, travel and around town. 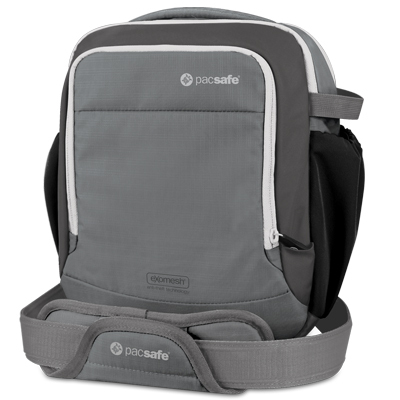 The PacSafe Camsafe V8 camera bag retails for $130 and weighs 23 oz. My go-to camera bag for the past 3 years has been the Tamrac Velocity 7X. It is a sling-style bag that can be worn in back or front. 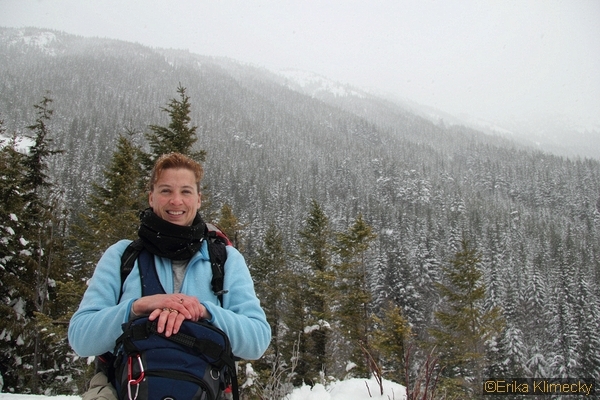 I always take it backpacking because it fits with my backpack and stays on the front for easy camera access while shooting on the trail. No need to take off the backpack to change lenses or filters. The Velocity has room for several batteries, cards, my cleaning kit and even my battery charger. I fit my whole backpacking camera kit in side this for a total of less than 5 pounds (not including tripod). Zippers are very easy to open and close, and the main compartment has side clips for easy access while maintaining the security of a closed cover. The waist strap is minimal but rests over my backpack waist belt without adding bulk. This bag has been ground into the gritty volcanic dust of Mount St Helens and to the Himalayas twice, and gilssaded down several snowy Cascade mountain flanks, and shows no signs of wear. It will be my go-to camera bag for the foreseeable future. 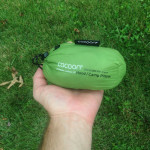 The Tamrac Velocity 7X retails for $99 and weighs 25 oz. 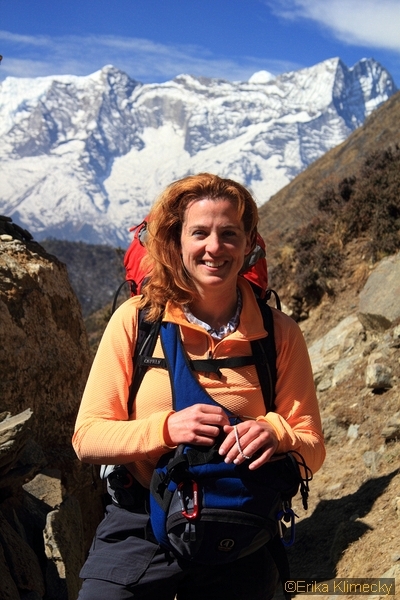 What’s In Your Day Bag – Alyssa Erickson?